Why Don’t My Workouts Seem To Get Any Easier? You’ve been coming in for your trainer sessions, dutifully doing what she or he tells you, chest-pressing and tricep-dipping all the while. Sure, you feel proud and accomplished, but does it seem like your workouts never seem to get any easier? You still struggle with the same pushups just as much as you did several months ago. And you still go home, after each session, pretty darn pooped. So what gives? You’ve got to be getting stronger by now, right? Has my eating been inconsistent? Ups and downs with nutritional wellness can really affect workout performance. You might still feel sluggish from fatty or high-sugar foods eaten hours before your workout. Or, if you’ve eaten too little, you’re bound to feel weak, cranky, and slower than usual. For great results, aim for a small snack that is high in carbohydrates and low in fat an hour or two before your workout. A good combination of protein and carbs eaten after your workout will help muscles repair and grow. And, generally speaking, if you’re tired of being tired, either at your workout or otherwise, let this be one more motivating factor to keep your diet healthy and junk-free. Am I doing too much? In between sessions with your trainer, are you exercising really hard and/or really often? Periods of rest between workouts are actually necessary for proper muscle healing and growth. Not only does help you mentally to have a break, but it’s a necessity for your body. When you lift heavy weights or push your muscles in some way, your muscle fibers develop tiny microtears in response to being loaded and challenged. Those tears healing are what leads to bigger, more toned muscles, and take a day or two to go through this process. Am I still loving it? If your workouts have become more drudgery than joy, please, please talk to your trainer. Rather than hurting his or her feelings, you’ll both be so glad to have you doing workouts that you enjoy more. That being said, of course, it’s sort of the very nature of exercise to be hard work. However, different people respond well to different physical activities, and there are a multitude of options your trainer can have you try. Am I SURE these exercises aren’t getting easier? Here’s the thing: trainers are devious. We can push you and make things harder without you even realizing it. 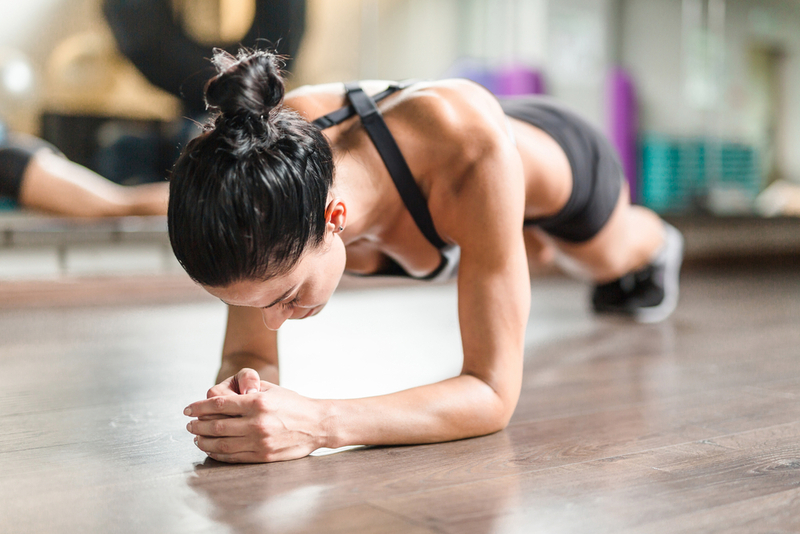 You might still struggle with those same 15 pushups, but maybe that’s because you’ve been doing harder and longer cardio or slightly heavier weights along with them. We hope you can mark your progress in ways that you notice every day – more energy, an easier time carrying groceries or doing yardwork, your clothes fitting better, and an uplifted mood. When it comes down to it, it’s our job to make your workouts harder for you, so that the rest of your life can become easier.